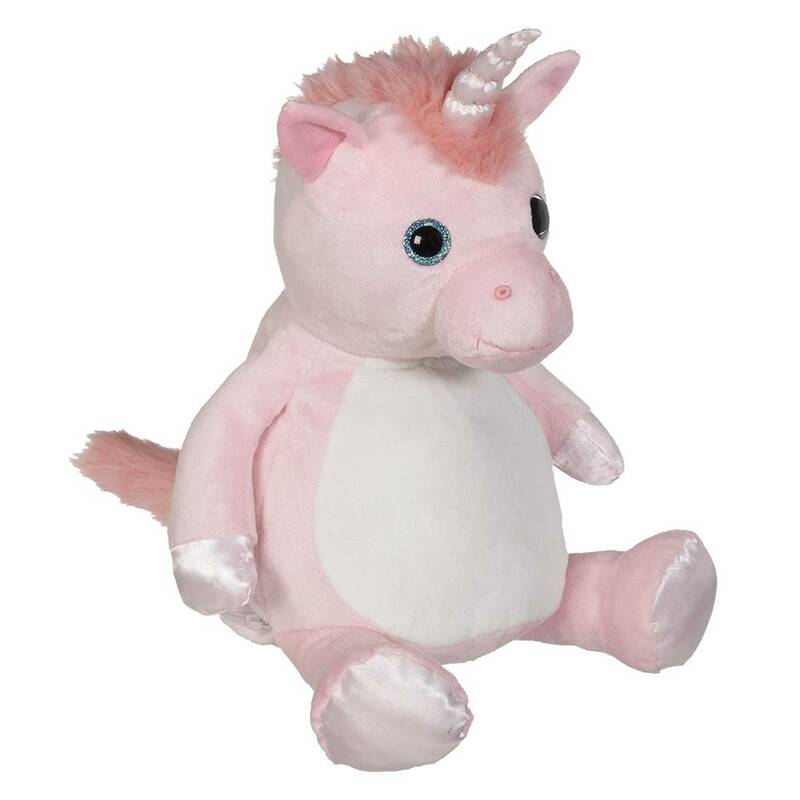 Deze Eenhoorn Buddy heeft blauwe glazen ogen, satijnen poten, spiraalsgewijs puntige hoorn en prachtige zijdezachte manen. 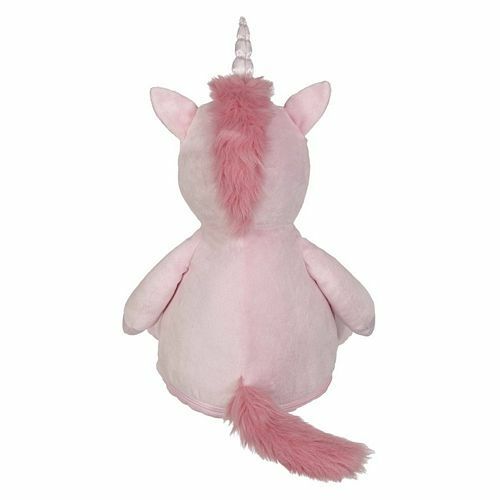 This 16″ Pink Unicorn with her candy floss pink & cream coat, sparkly blue glass eyes, satin paws, spiralling pointed horn and gorgeous silky soft mane and tail makes this Buddy a whimsical beauty. 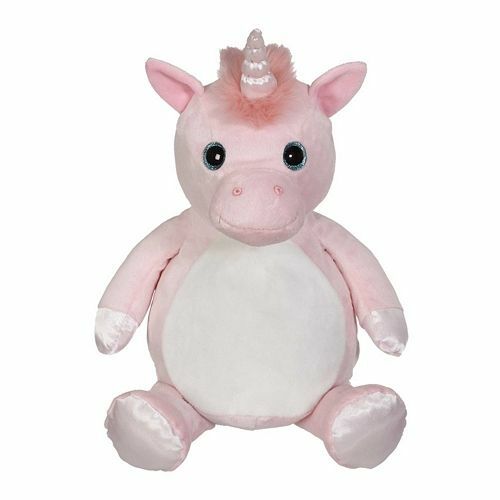 Self-contained stuffing pods for the head and belly are removable through a hidden zipper on the bottom of the unicorn making hooping and embroidery easy on any embroidery machine. Embroidery-friendly, low-pile plush fabric. Exceeds all applicable U.S., Canadian, and European safety standards.